Opened less than half a year ago, the newest major biostore in the heart of the city brings more than just food to the table. 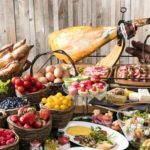 For lovers of organic produce — whether it’s freshly picked berries, quick and easy deli delights, or wine and cheese pairings — Tokyo’s latest offering is sure to please. Boasting more than 420 square meters and some 1,000 certified organic lines ranging from vegetables, meat, seafood, and dairy to drinks, ready-to-eat dishes, and even non-food items, Bio C’Bon in Tokyo’s Azabu Juban area aims to contribute to the “health, wellness, and happiness” of its customers — and since its opening in December 2016, it seems to be completing its mission well so far. 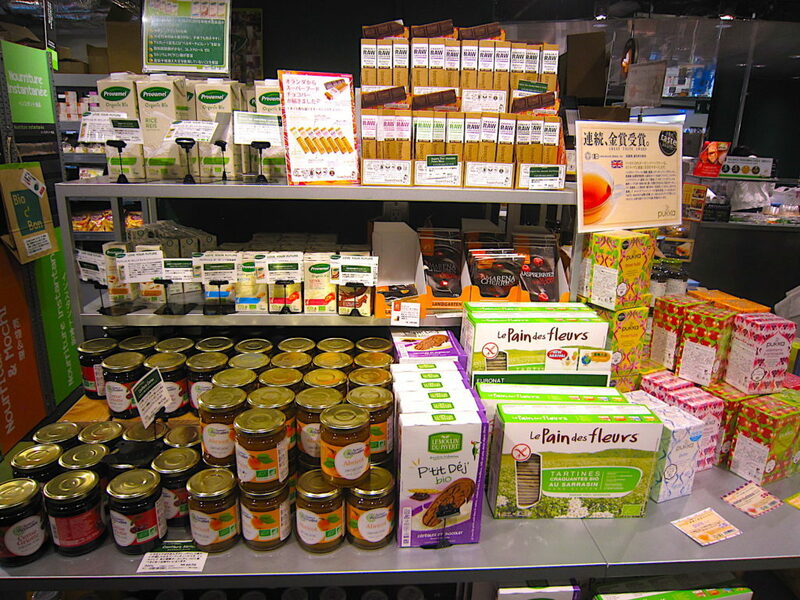 The popular French bio store chain, which has more than 100 stores throughout Europe, is making its leap into the Japanese market via a joint venture between its operator Marne & Finance Europe and Aeon Co., Ltd., a long-term supporter of organic produce, attracting organic food consumers and curious customers alike. 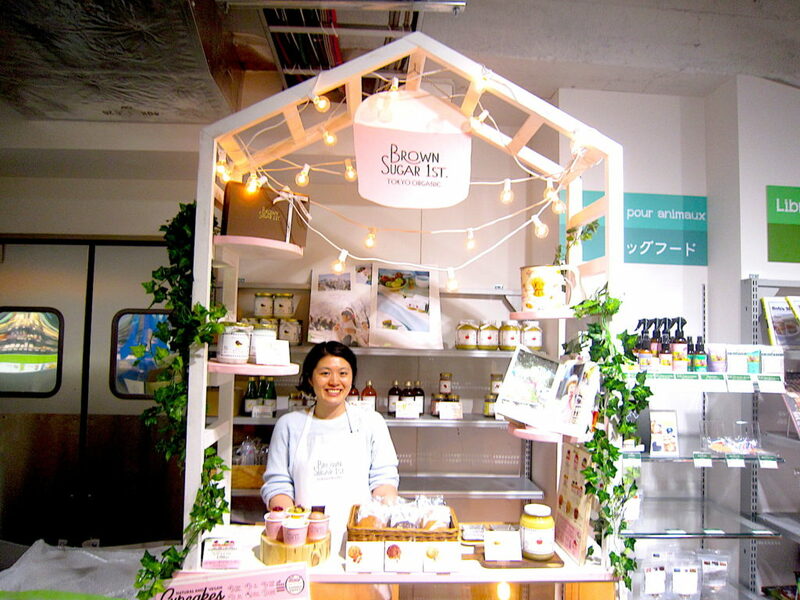 Curious to see what’s in the latest bio store in town — and what it’s doing to attract clientele, Savvy Tokyo went along to explore its aisles and discover the potential of Japan’s organic market. Even on first glance, Bio C’Bon’s innovative approach is clear. 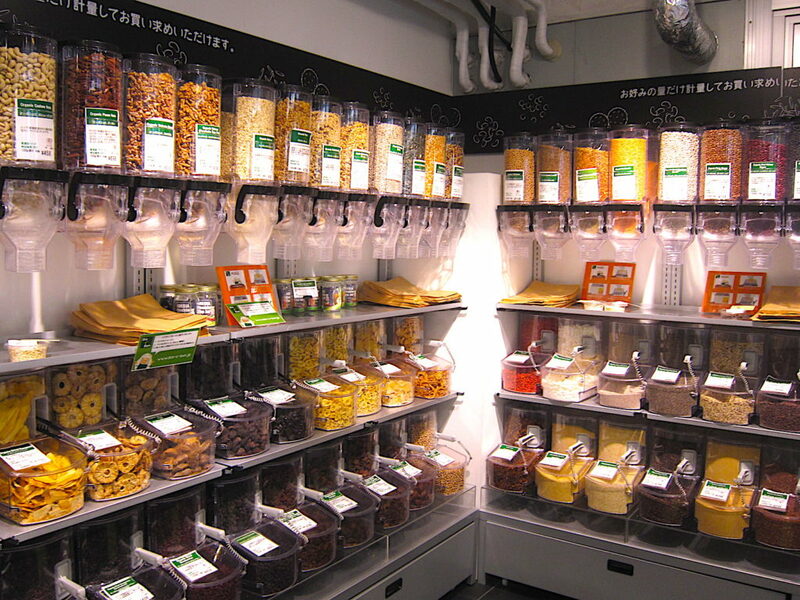 At the door, a glass-paneled room featuring racks of nuts, dried fruit, and chocolate entices entry with attractive displays and guidance on how to use the pick-your-own service. 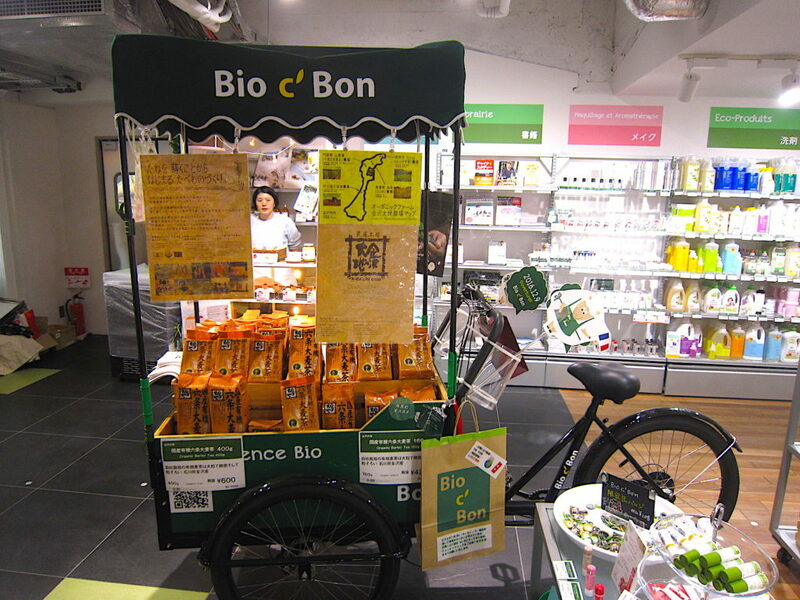 [Bio C’Bon] aims to contribute to the “health, wellness, and happiness” of its customers. 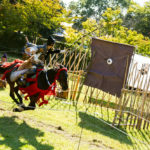 Going a step further, you can find everything from fresh produce to meat and fish, gluten-free bread and a great variety of other unique items. 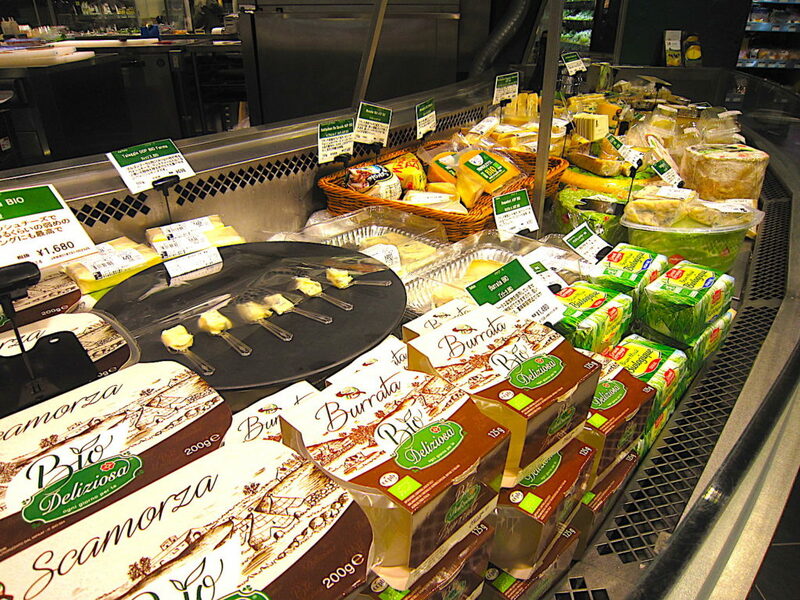 The store’s rich collection of cheese and wine, too, are drawing crowds, thanks in part to their strategic placement alongside each other. A bottle of one of the 60 varieties of wine starts from just ¥980, and the fresh cheeses are imported weekly from France and Italy. 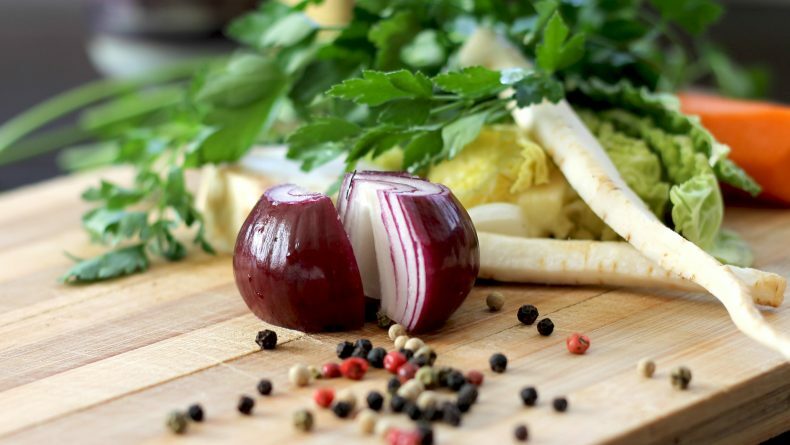 Pride of place in the shop is the deli counter, with staff on hand to tailor make customers’ boxes of freshly prepared meat or vegetable salads and other appetizers. 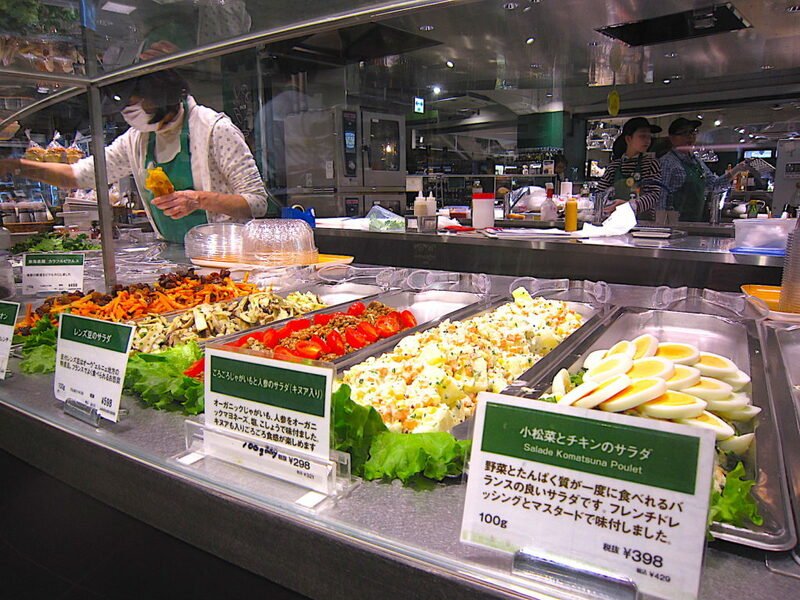 For the store, providing options to taste organic food is crucial to its success in Japan. 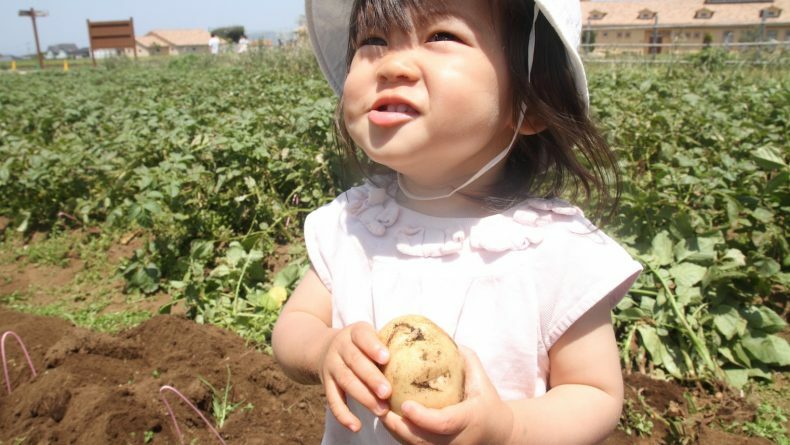 Duco Delgorge, founder and CEO of organic importer MIE Project Co., Ltd., agrees that taste is important. He launched his company in 2005 and now supplies Bio C’Bon with more than 200 products from some 20 premium brands. 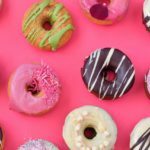 The products include tea, coffee, jam, honey, cereal, granola, and wholemeal rye breads, all of which fill many shelves of Bio C’Bon. 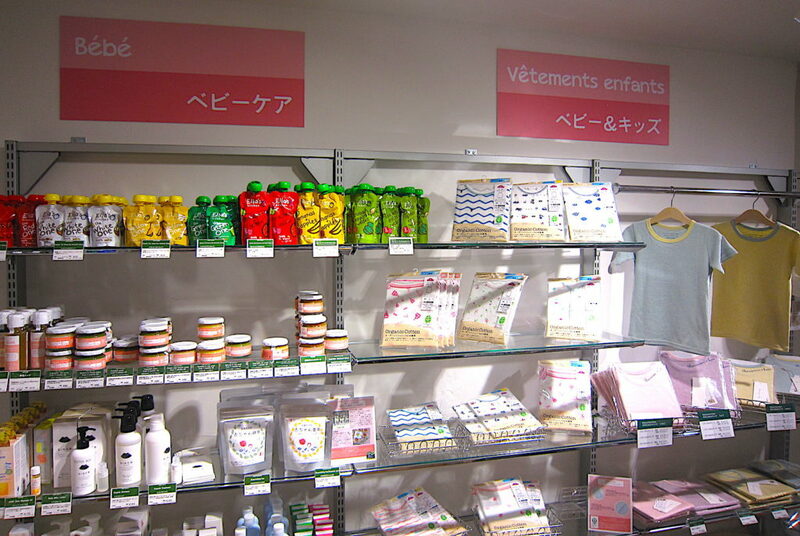 In keeping with its French DNA, Bio C’Bon’s has adopted the relaxing atmosphere of a market, with each section clearly labeled in both French and Japanese. The brand’s signature cuddly sheep gambols in point of sale displays throughout; its cuteness is likely to be a great source of appeal. The store’s large “meet and eat” table is where customers can sit and relax over an organic bento lunch box, coffee, or snack. Towards the back of the store are non-food organic items such as toiletries, cosmetics, cleaning products, baby clothes, and baby food. The latter has proven to be a particularly hot seller, according to Okada, as most customers so far are young mothers. “Our sales proportion of non-food items to food items is larger in our Japanese store than it is in our French ones,” says a perplexed Okada. 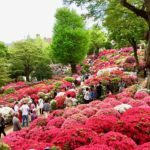 But he is pleased with the store’s reception overall and sees the Tokyo 2020 Olympic Games as an opportunity to open more stores in Japan. Both Okada and Delgorge see potential for Bio C’Bon in Azabu Juban. 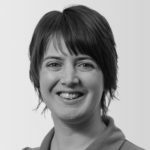 With affluent individuals and expats in the area likely to take the lead in regularly using the store, the hope is that the locals will follow. 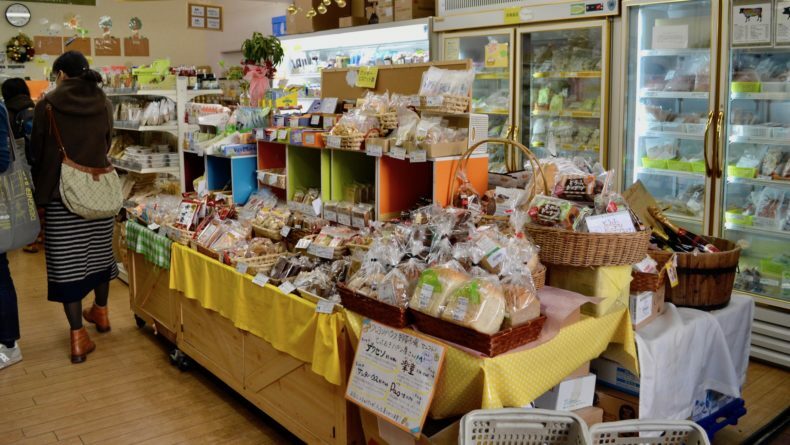 Okada is encouraged by the steady rise in customers in the store’s first few months of trade. In the meantime, a host of new, sumptuous products awaits both organic fans and newcomers to organic living in Azubu Juban. It’s certainly a place for new discoveries and healthy treats. 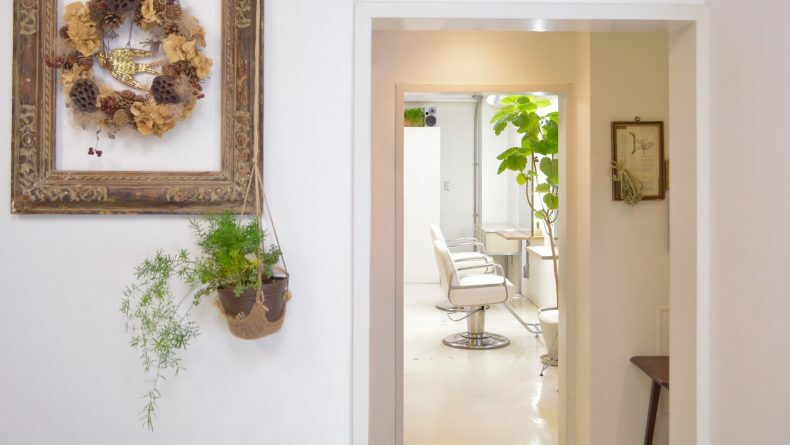 Business hours: 10 a.m. – 10 p.m.
Find the best natural products for your breakfast and afternoon snack just a stone’s throw from Omotesando station.